Following the demise of famed industrial metallers 16v in 2014, front man Eric Powell was soon to embark on the next phase of his musical journey. 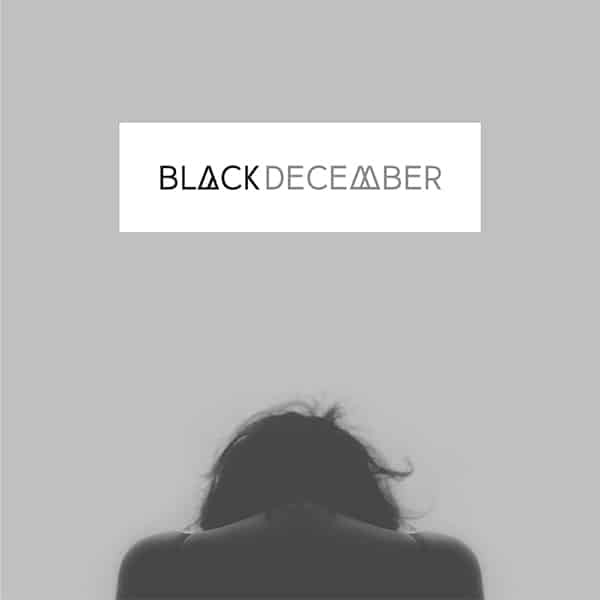 His new project Black December, sees Powell well within his element, packing hard-hitting abrasive riffs and raw emotional lyrics to create an enthralling sound. Although debut album ‘Vol. 1’ may appear short, it’s an incredibly momentous release, comparable to the likes of Deftones, Pantera and Nine Inch Nails. The group formed in Summer 2014, with Powell enlisting the help of musicians Erik Gustafson, Kimber Parrish, Bobb Thomas and Keith Hirschman. Within months of their formation, the group headed into the studio with Velvet Revolver producer Marc Jordan to start tracking their debut. Renowned mastering engineer Howie Weinberg (Metallica, Muse, Nirvana) rounded things off in early 2015, adding the finishing touches to the record. What is unfathomable is that the LP bears no signs of being a first release. The five musicians have excellent chemistry and sound as though they’ve been playing together for years. Tracks ‘It Just Feels Right’ and ‘The Divisions Of Hate’ feel more like finely sculpted classics than the early material of a freshly emerging outfit. The former is a melodically charged radio friendly anthem meanwhile the latter toys with the sound of 00s nu-metal. The group’s ability to create heavy industrial rock that is concurrently accessible is admirable. Producer Marc Jordan lends a significant role to this, as the record’s sleek, glossy production only helps to extenuate it’s impact. Tracks ‘The Slag’ and ‘Hell On Wheels’ are able to pack a punch despite their sonic commercial appeal. Adopting a clear influence of 90s grunge rock, ‘This Is Nothing New’ shifts away from the record’s predominantly abrasive tone. Offering contrast to its predecessors, it presents more of a soft and delicate side to Powell’s vocals. Polar opposite ‘I Don’t Even Know You’ commences with distorted vocal cries and brisk bass chugs. An influence of Deftones is apparent, providing a snapshot of the band at their most aggressive. ‘Vol.1’ is a powerful first installment from an outfit that emerged barely a year ago. What is incomprehensible is that this finely sculpted masterpiece was composed in a matter of months, as many of its moments have the weight of modern day classics. 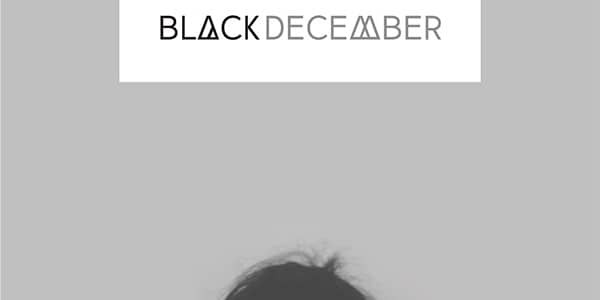 The 9-track release will surely leave listener’s begging for the fall of Black December’s sophomore release, but fortunately provides plenty to keep them occupied.